In line with Dubai Tourism’s vision of attracting 20 million visitors per year by 2020, Atlantis, The Palm, has announced a US$100 million refurbishment programme across Atlantis, The Palm, as well as an expansion with the brands second property, The Royal Atlantis Resort and Residencies also located on The Palm. Atlantis, The Palm shares impressive results during the first five months of 2017, which saw occupancy levels of 93 percent on average, with an 11 percent increase year on year. Boosted by competitive room rates and an increase in guests from Russia, China, India and European countries such as France and Germany, the integrated entertainment destination has become the fastest growing resort in the region, surpassing its competitors in total rate of occupancy growth. Starting on 4th July 2017, the iconic five-star destination resort will embark on a three-year refurbishment programme, including the resorts 1539 rooms and suites. The project will see 50 rooms and suites refurbished every six weeks, to ensure that guest experience will not be impacted, with completion benchmarked for 2019 just in time for the World Expo 2020. 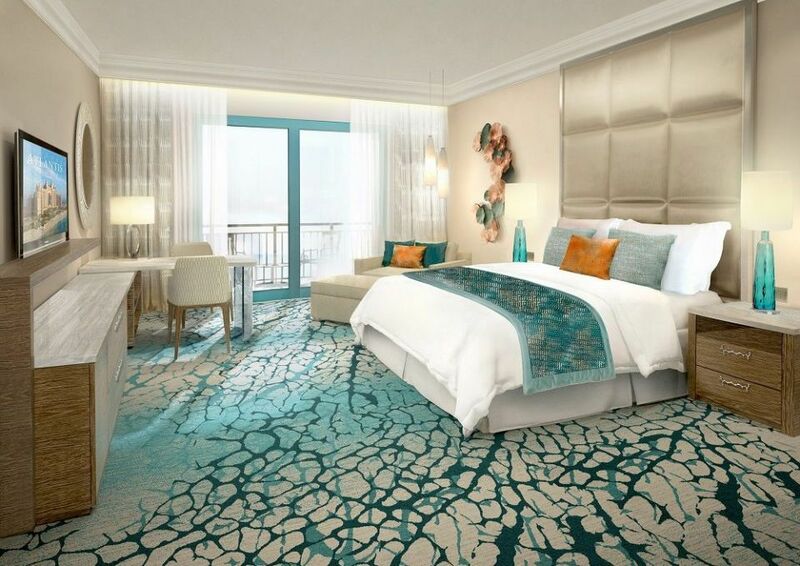 The room renovation project comes ahead of the launch of Atlantis’ second Dubai property the $1.4 billion Royal Atlantis Resort & Residences, which is set to change the landscape of Dubai upon launch in late 2019. Located on the crescent of The Palm and next to the iconic Atlantis resort, this new generation of distinctive luxury will offer 231 Residences and 795 new lavish guest rooms and suites on over 10 hectares of land. With the sales launch of The Residencies in January 2017 and prices starting at approximately AED7.65 million, the property is destined to become a new landmark, a world-renowned address and will be Dubai's first super-prime residential development.